Our dream team of professional, compassionate doulas and baby sleep experts provide daytime, evening and overnight help in your home after birth or adoption. Phone and skype consulting also available. Pam is the Triangle’s baby whisperer, helping families fix what’s not working and enjoy what is. After the birth of her first child, Pam felt overwhelmed by the world of babies and breastfeeding. Because she lacked family in the area to show her the ropes, she hired a postpartum doula whose guidance and support helped her to build her confidence as a mother, while also planting the seeds for her future career! Now, Pam is the Triangle's baby whisperer. As a parent and newborn coach, postpartum doula, and baby sleep consultant, Pam’s life’s work is helping babies and families get off to the best possible start. Pam was one of the first fifty sleep consultants trained under Kim West, author of The Sleep Lady's Good Night, Sleep Tight. She is a certified HUG Your Baby teacher and has worked as a lactation support volunteer at WakeMed and a volunteer mentor in the Welcome Baby program through SAFEchild of Wake County. Pam has worked with La Leche League for more than eighteen years and is a professional advisor for the PESNC (Postpartum Education and Support North Carolina) support group, Moms Supporting Moms, where she applies her extensive experience helping mothers with postpartum mood disorders (postpartum depression and anxiety). She is certified in Mental Health First Aid and can help families assess postpartum mental health concerns and connect to support services. When she's not working, Pam can be found scouring the trees with her binoculars, hoping to spot interesting birds. She also enjoys hiking with her dog, growing her own veggies, and hosting hootenannies with family and friends. First Daze doulas and sleep coaches are dedicated to creating happy families through compassionate, skilled care. 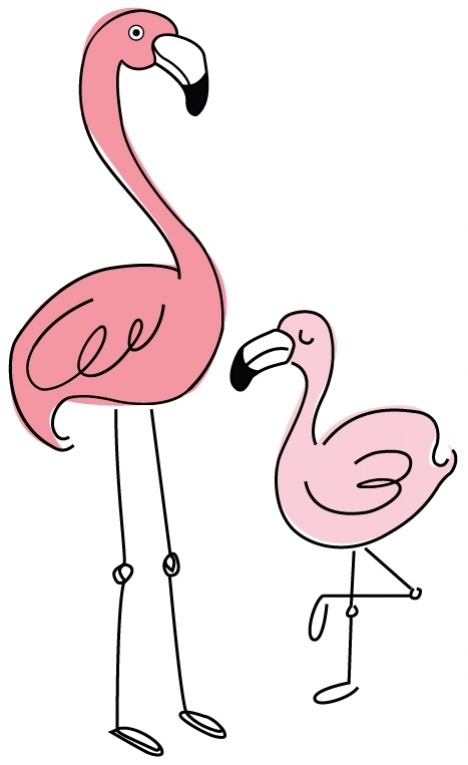 Like the flamingos in our logo, we take a nurturing, community approach to raising children. From these colorful and graceful creatures, we can learn the value of working as a team to build peaceful, happy families from the day of a child’s birth. In flamingo child rearing, incubation of the egg and feeding of the newborn chick are responsibilities shared by both parents. Also, flamingos build their nests close to other flamingos, creating a tightly knit community of helpers; young flamingos are cared for by the entire flock of adult flamingos. We consider it an honor to be invited into the nests of our clients with infants and young children – while we’re there, we do everything we can to contribute to the rest and well-being of the whole family. Erica is an artist who helps families find creative solutions for sleep shaping, establishing healthy routines, and adjusting to life with baby. Although Erica felt well prepared for motherhood, sleep deprivation and breastfeeding became enormous challenges after her first baby. Thanks to support from professionals and caregivers, she overcame those challenges and went on to become a postpartum doula in order to empower parents like herself. She helps families welcome a new baby (or babies!) into their homes while also restoring balance and joy to their lives. Erica has also worked as a sign language interpreter for the deaf, a business executive, and a freelance mural artist. She can paint or draw just about anything, and many of her clients have been lucky recipients of her hand-painted gifts. While her hobbies include reading, painting, and traveling, being a mom to two children continues to be her greatest joy. Like the flamingos in our logo, we take a nurturing, community approach to raising children. An energetic mother of multiples, Karen’s compassionate expertise has helped many families embrace the challenges of parenthood. Karen’s interest in postpartum doula work began not long after her own twins were born in 2005. She learned firsthand – from her own experience and from volunteering with a local twin mom’s group – that even seasoned mothers need mothering themselves in order provide the best care for their babies and themselves. Karen earned her Masters of Social Work from UNC Chapel Hill in 2004. She worked for several years with adults with mental illness; her work also included crisis intervention and death and dying issues, including pregnancy loss. After becoming a certified postpartum doula, Karen began her work helping new and growing families with newborn care and sleep, breastfeeding assistance, care of multiples, guidance and resources for pediatric developmental delay and disabilities, special dietary needs for families, and postpartum experiences after infertility. Karen loves reading, competitive running, and spending as much time as possible at the beach. She is also a fantastic cook and baker – she enjoys visiting farm-to-table restaurants to get recipe ideas for her family and postpartum clients. Kara's passion is for guiding parents to self-confidence through the discovery of their own unique parenting style. If baby whispering can be genetic, Kara’s skill has been passed down through a long line. Kara grew up with a large extended family, and there were always plenty of babies around to inspire her life-long love of children. She has witnessed firsthand how the right information at the right time can help parents more deeply understand their children and tap into their very best parenting instincts. Along with practical support, she loves to share both tried-and-true knowledge and cutting edge science to help parents make sense of their experiences and solve problems around sleep, feeding, and making daily life run more smoothly. 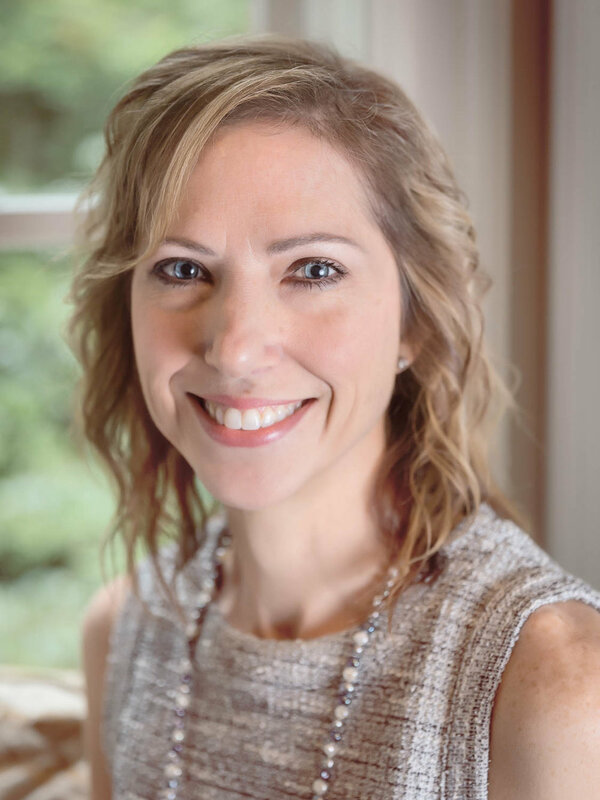 In addition to being a doula, Kara spent more than a decade in Capability Development at Accenture and worked as the Newborn Care Educator at BABY + Co in Cary; she is also a trained facilitator for the Gottman Institute’s Bringing Baby Home program. Kara is certified in Mental Health First Aid and prepared to help families assess postpartum mental health concerns and connect to support services. When not cuddling babies, Kara loves long distance trekking (she walked the width of Spain over the course of one month! ), reading, and staying active in the local reuse and sustainability scene. Susan’s empathetic approach helps new families get the rest they need to care for their babies and fully recover from childbirth. Susan Weaver is a certified postpartum doula with many years of experience caring for and nurturing moms and babies. She knows the early weeks at home with a newborn are physically and emotionally exhausting. As a mother of two, Susan understands what the new mother and father are experiencing and helps to nurture the family through sharing, listening, and empathizing. Susan has extensive training in newborn care and infant development (including care of preemies and multiples), breastfeeding and baby nutrition, postpartum depression disorders, childbirth recovery, and support of all family members during the transition into new roles. She continues her education with supplementary classes in breastfeeding, infant care, and HUG Your Baby (recognizing baby cues). When not caring for new families, Susan loves to read, bake, and travel – especially to the orphanage in Mexico where she does mission work. We do everything we can to contribute to the rest and well-being of the whole family. An educator at heart, Julie is passionate about helping new parents get to know their babies. After leaving a job in human resources to stay home with her first child, Julie learned that the transition into parenthood comes with many unexpected joys and challenges. Being a postpartum doula allows her to provide breastfeeding support while also encouraging new families and educating them about all aspects of normal newborn behavior and care. When her children started school, Julie taught preschoolers in a mother’s morning out while also completing a program in lactation consulting at UNC-Chapel Hill. She is now an International Board Certified Lactation Consultant. Julie has volunteered at the Wake Med Mother’s Milk Bank and with Wake County Public Schools. When not helping new families, Julie enjoys yoga, cycling, golf, and playing with her sons. By understanding your baby’s needs, you can avoid unnecessary fussiness, establish healthy feeding and sleeping habits, get more sleep, build your confidence as a parent, and find the time to focus on what really matters. Missy believes in empowering parents by teaching them to recognize their baby’s early cues. Missy’s three boys are now grown, but she remembers those joyful yet challenging early days when she struggled with breastfeeding and sleep. Now, Missy helps families successfully adjust to the changes a new baby can bring. She believes that new parents can build confidence and become experts on their baby by learning to recognize their child's early cues. Missy began work as a certified postpartum doula in 2012. Her passion for helping others is satisfied by the important work of caring for newborn babies and their parents. She has worked with many twins, and particularly enjoys the challenges they bring. Missy continues to supplement her education by keeping up-to-date with the latest research on infant sleep, breastfeeding, postpartum anxiety, and best practices. In her free time, Missy enjoys reading, traveling internationally with her husband, and spending time with her two grandchildren. She is a former preschool music teacher and also started a women's singing group. Also an avid crocheter, many of her clients have been recipients of her cute newborn hat creations! With the heart of a true southerner, Kimberly embraces the Golden Rule of treating our clients as she would want to be treated. Kimberly's mantra for working with new families is to treat others with honesty, sincerity and personal and professional integrity. She strives to be the helping hands that will give new parents the support needed for them to rest, have time for self-care and adjust to life with a new baby (or babies) at home. She takes pride in being able to provide help to new mothers and their families simply by taking care of day to day tasks that allows them to focus on learning about their new little one or have much-needed time to for themselves. With Kimberly, this may mean providing some extra attention to older siblings. It's not uncommon to find Kimberly on the floor building train tracks or playing games with a preschooler in the house. When she's not working with families, Kimberly can be found enjoying the sunshine and fresh air outdoors or tending to her menagerie of dogs, cats and bunny.